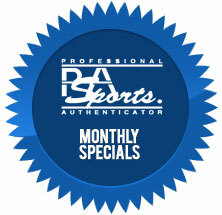 Since 1991, PSA has been the leader in 3rd party authentication and grading but it took some time for the concept to really take hold in the marketplace. It took seven years for PSA to reach 1,000,000 collectibles certified. In 1998, that milestone was reached with a 1958 Topps World Series Foes card featuring Hank Aaron and Mickey Mantle. This week, a Bryce Harper rookie card became PSA's 20 millionth certified item! After years of certifying trading cards, autographs and an assortment of memorabilia, PSA has reached new heights with the support of so many people in the hobby. In the following piece, we take a closer look at this historic milestone. When a person is considering a new endeavor, no matter what that endeavor may be, PSA's Joe Orlando believes it is always best to crawl before you walk. When it comes to collecting, this principle may be especially important. With the potential pitfalls that exist along with the general learning curve that we all experience in life, becoming an informed hobbyist is crucial to a positive experience. In the following article, Orlando takes a comical look at the need to avoid speed, at least early on in the process. There are a lot of popular sets to collect from the 1960s but the 1967 Topps baseball issue is one that many collectors feel is amongst the most visually-appealing sets released during that period. This 609-card production features two very important rookies in Rod Carew and Tom Seaver, a nice selection of combo cards and tough high-number run, which adds to the challenge of completing this set in high-grade. This year's winner, which carries a GPA of 9.27, is the finest set ever assembled in the 1967 Topps category. Click here for a look. HURRY - Set Registry Special ends 11/30! Greg Bussineau Sports Rarities "Fall 2012 Vintage Trading Cards and Memorabilia Auction" is now open for bidding. The auction features 839 lots of important rarities, finest known examples, legendary Hall-of-Famer cards, and complete sets. The closing date is Thursday, December 6th. There are 1087 lots for auction that will end on Thursday, November 29, 2012, at 11 PM EST using the 15 minute rule. This auction features many high grade and low pop cards for collectors to complete their sets from the 1950s through the 1970s. Great selection of rookies, high grade low pop cards including 1960 Fleer Branch Rickey PSA 10 and 1965 Topps Al Downing PSA 10. Both are Pop 1. There is a little bit of everything for almost everyone. A high grade 1916 M101-5 Sporting News baseball card set, one never before seen in the mainstream hobby, has been consigned to Memory Lane's upcoming auction. The set spent nearly a century in the hands of a Midwestern family before recently being graded by PSA, where it instantly became their second highest graded set of all-time. Which of these 2012 rookie stars has the best long term hobby potential? You have received this eZine because you have previously requested information from PSA or its affiliated companies. If you do not wish to receive future issues of this eZine, click here.